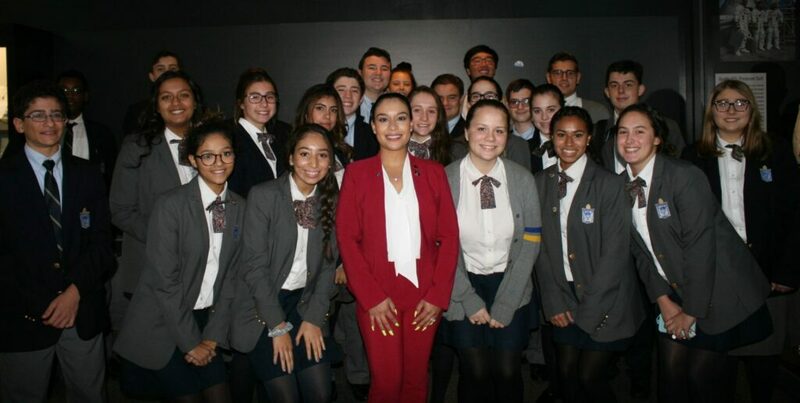 On Tuesday, select students from Kellenberg’s STEM cluster traveled to The Cradle of Aviation Museum to sit in on an inspirational talk given by NASA Engineer, Scarlin Hernandez. Ms. Hernandez delivered a message of positivity in motivating our students to chase after their dreams no matter what the odds. After living a life of constant disappointment and hardships as a minority female, at the age of 20, Hernandez was offered a full-time job at NASA and is l currently working on the James Webb Space Telescope mission which will one day soon be able to explore beyond our planets.